An effective rental ad is short, sweet, and to the point, but it includes all the information necessary to attract prospective tenants: the basic specs of the apartment such as the number of beds, baths and square footage, and specific policies, such as whether pets are allowed. You'll want to include this essential information in the briefest format possible. You can't make your property sound better than everything else out there if you don't know what everyone else is offering. Read current ads before you write an ad. What, if anything, sets those other properties apart? If your property shares the same selling points, make sure that you also include those features in your ad. You'll want to make mention of anything your property has that the others don't. The last thing you want is for a reader to skim right past your ad to go on to the next one that's screaming, "Rent me!" The caption or first line of your ad should deliver the goods as concisely yet completely as possible. Everyone who's scanning these ads is looking for something, whether it's a certain number of bedrooms or location. Here's your chance to grab her attention if she's in the market for a property just like yours. Include the number of bedrooms, number of baths, and the type of dwelling you're renting. Is it in an apartment building or is it a single-family home? Mention the neighborhood or town, as well as your property's best feature. You should be able to get all this into a single sentence: "3 bedroom, 2 bath uptown condo with a view." Including price in the caption is optional. Your reader might be stuck on $975 a month, while you want $1,000 but you're a little flexible. He might skip right over your ad without reading it because he thinks it's out of his price range. Newspaper ads don't accommodate pictures, but clear pictures highlighting the best parts of your property are a necessity for online rental ads and even ads placed on bulletin boards. Some people won't even call about an ad if it doesn't include a picture of the premises. Include at least one photo of the kitchen and the bathroom or bathrooms. The living area and at least one bedroom are also necessities. Good lighting is important, and dusk is a great time to take pictures. Color photos are also more appealing than black and white. Many states set a limit on how much you can charge, so make sure you know the maximum amount allowed in your state. You don't necessarily have to say "utilities are not included" or "you must pay your own utilities." People don't like to hear what they’re not getting in an apartment, so avoid any comments that can be construed as negative. But if utilities are included in the monthly rent, you can say something like "H/HW (heat/hot water) included." That's often a pretty good selling point. Would a rental ad that reads “Apartment has floors, windows, and a door” appeal to you? Adding a few strategic adjectives will make your property sound more appealing. Try something like, “Spacious apartment has hardwood floors and large windows.” Highlight the best features of your property. A walk-in closet, stainless steel appliances, eat-in kitchen, and a washer/dryer on premises are all desirable features. A single family home or a second floor unit with a garden view sounds great, but saying that your unit is a fourth-floor walk-up might not attract many people. If the neighborhood is a selling point, mention it, but otherwise, you might want to skirt around it. You can also include services, stores, restaurants, and schools that are nearby. Choose your words carefully, but try not to go over the top. Too much enthusiasm can make people suspicious and be a turnoff. By the same token, you don't want to underplay your rental, either. "Nice" is too mild. "Spectacular" is too much. Consider terms like, "spacious," "classic," "tasteful," or "vintage." Only make note of parking if it's available at your property. State whether it's off-street parking, such as a driveway or a parking lot, or on-street parking. Mention whether a resident pass is required if it's on-street parking. Include the date the unit will be available for move-in, and state the duration of the lease you're looking for. One year is common. You might want to call it a “12-month lease” because, psychologically, this seems less constricting to people. Include the city and state where the property is located in online ads, but you can leave out the state in local newspapers or on bulletin board ads. Whether you publish the actual street address is a personal decision. You might want to give this information only to people you've pre-screened on the telephone. Another option is to include the street name in the ad, but not the actual house number of the property for rent. Another must-have in your rental ad is your pet policy. Make it clear what animals you'll allow in your property. No pets at all? Only cats? Only dogs under 20 pounds or those that aren't on the dangerous breed list? Make it clear up front to prevent misunderstandings or conflict down the road. This one sounds obvious, but many people do indeed run ads in the newspaper and forget to include their telephone numbers. You can also include an email address. Include tear offs on the bottom of ads placed on bulletin boards that include your contact information. Make it clear if you're planning to run any sort of background check on prospective tenants, such as a credit check or a criminal history check. This can deter certain individuals from calling about your property. 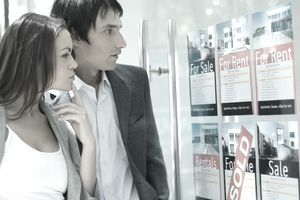 But make sure it's clear that all prospective tenants are subject to screening so you're not guilty of discrimination. This might sound like a whole lot of information to squeeze into a short, sweet, and to-the-point ad. But no one is going to be gauging your sentence structure—readers are looking for information. You can use commas instead of words like, "and." Write it, then read it over and cross out anything that's redundant or unnecessary.